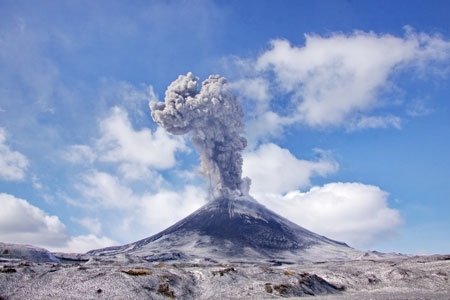 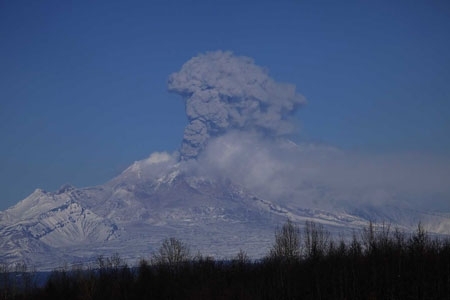 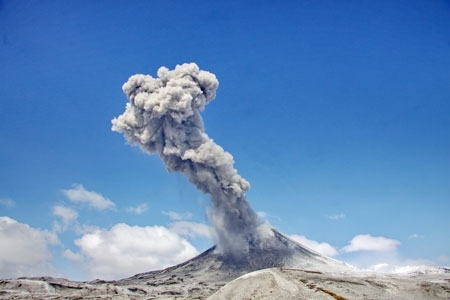 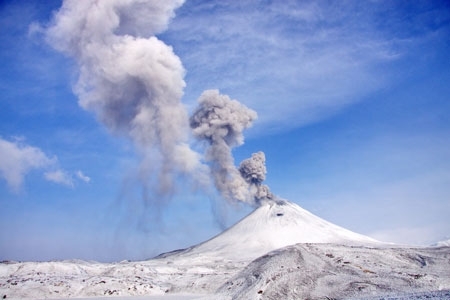 Eruption of Kizimen volcano on March 08, 2011. 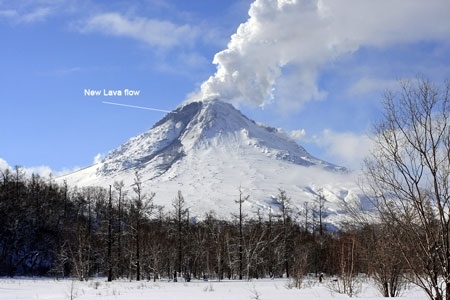 Lava flow detected by O. Girina on January 26 on photo by I. Shpilenok. 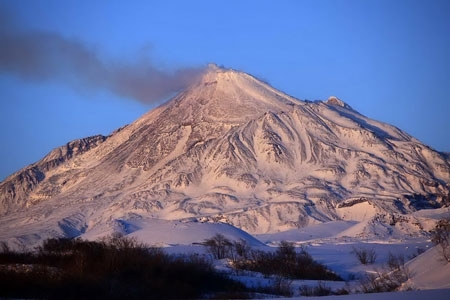 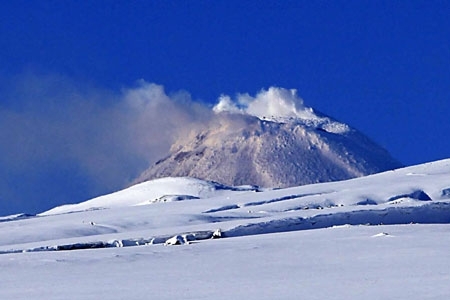 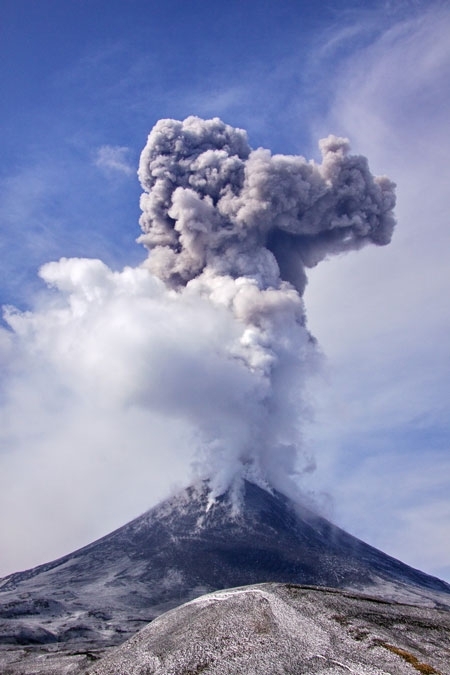 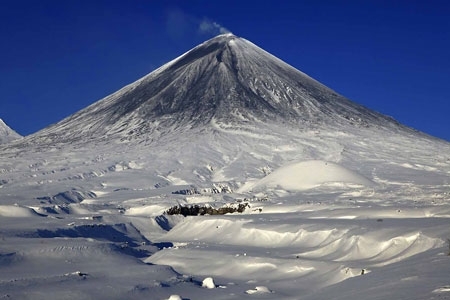 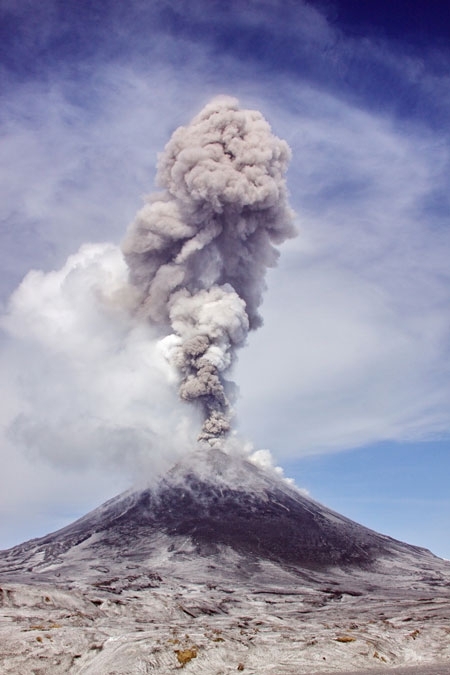 State of the volcano on February 24, 2011. 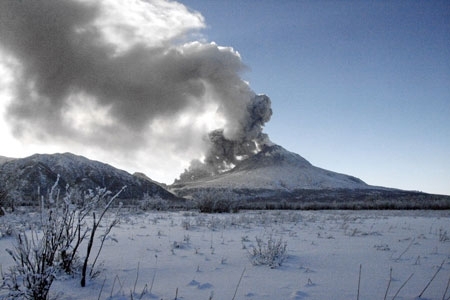 Eruption of Kizimen volcano on February 07, 2011. 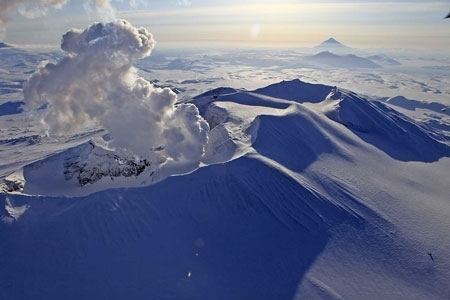 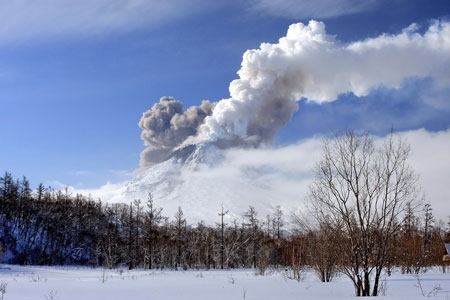 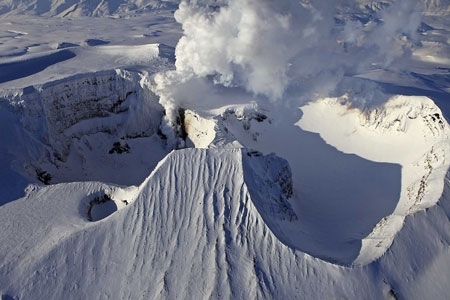 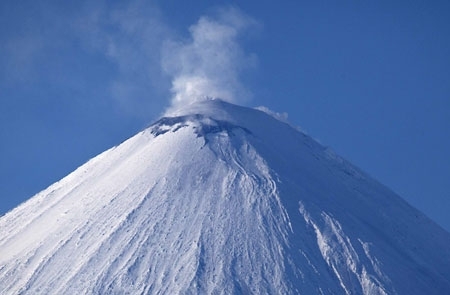 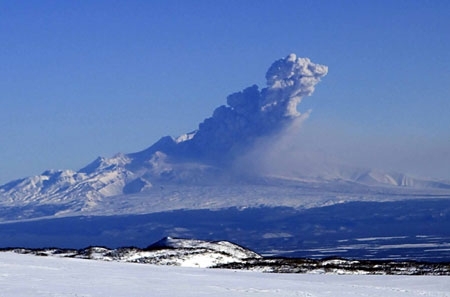 Eruption of Kizimen volcano on February 03, 2011. 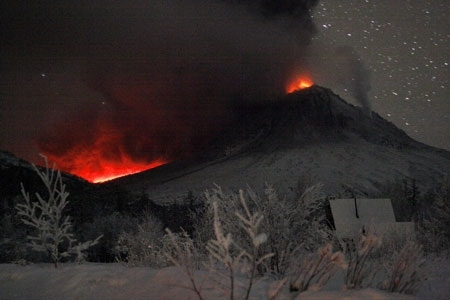 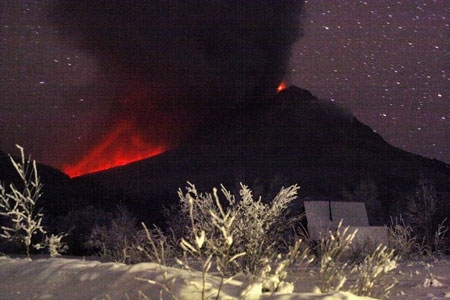 Eruption of Kizimen volcano on February 02, 2011. 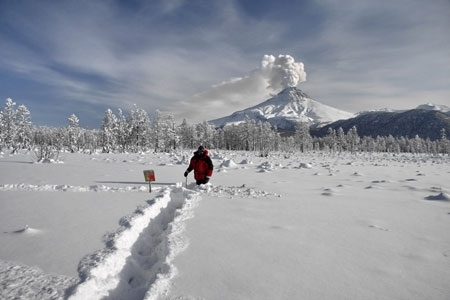 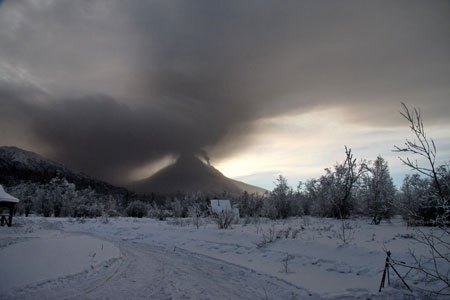 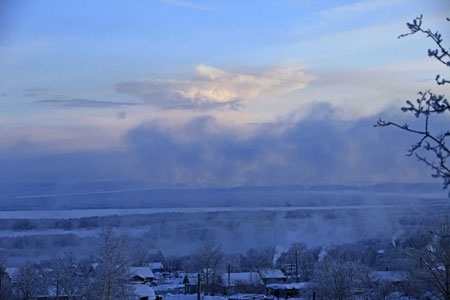 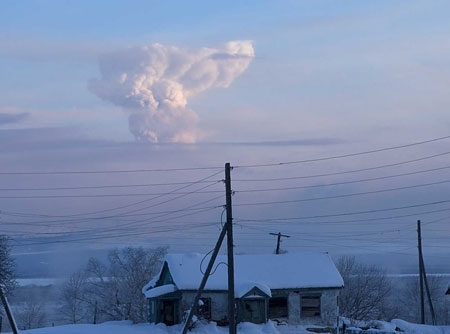 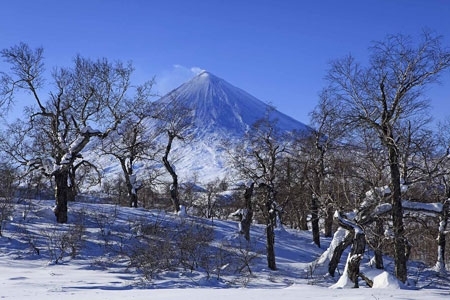 Eruption of Kizimen volcano on February 01, 2011.